Black Friday is on the 27th November. It’s not long now. Experienced buyers looking to get the best bargains out of these annual mega-sales will know that bagging what you want is not quite as simple as it first seems. There’s competition. Shopping becomes a sport. And for good reason. 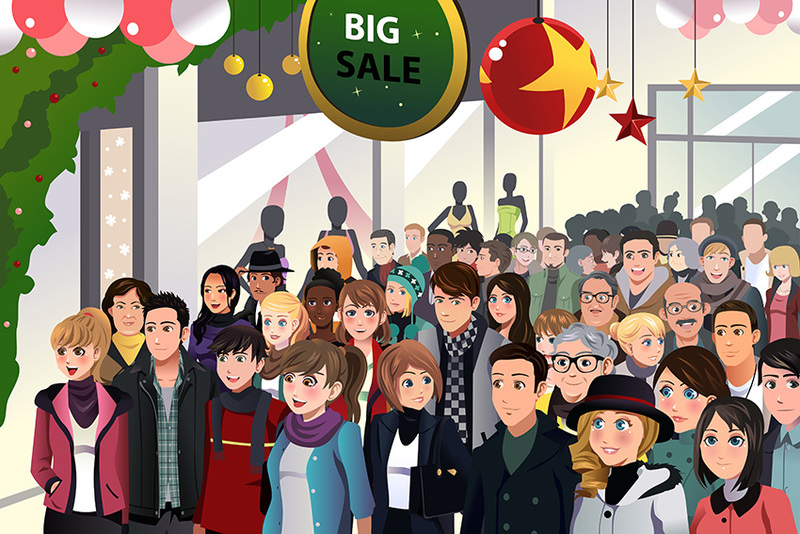 With such huge discounts, there’s the potential for everyone to get what they need for the holidays without it breaking the bank. We think that you can be one of those people. You just need to follow these handy tips that we’ve put together. CHECK ONLINE FIRST — the big retailers will wait for a specific time to launch their sale, but smaller online sellers will often sell on what they have before Black Friday as a way of generating cash to spend in the sales. That means you can score some bargains in the week before the big day has even started. MAKE A LIST OF NAMES — if you’ve got a big family, one of the best things to do before getting in line is to make a list of names for extended family and friends. Familiarise yourself with it so that they’re on your mind when you’re browsing. And if they don’t like it, you can always return it with one of our great value couriers. USE EXTRA PACKAGING — if you’re sending on your purchase to family and friends, your parcel might have a few extra bumps in the rush to get so many packages to their destination on time. Use larger boxes to add extra packaging inside your parcel to keep it secure. Better safe than sorry! BOOK A DIFFERENT DELIVERY OPTION — this is especially important if you’re sending abroad. Collection services can often be affected by weather and high demand, so opt for a drop-off service for good measure. Any couriers that are at their limit in terms of delivery will be temporarily removed from our quote search. RETURN PARCELS VIA THE CHEAPEST METHOD — online purchases often get returned, when you realise the item wasn’t what you thought, or doesn’t quite fit. Not all retailers have free returns and so when returning items use the cheapest service possible, which with our lowest price guarantee will be Parcel2go. Remember to take extra protection cover on your parcel as well in case of damage. So there you have it — a few easy ways to make the Black Friday weekend a lot less stressful. Happy shopping!